Bitten by the house bug in Sydney in 2000 Rod quickly found residencies around his hometown of Sydney allowing him to hone his skills behind the decks. Before long Rod was playing at any club worth its salt in the Australian city as well as running his own nights "Life". Following a dream to sample life in the Berlin, he made a move that would change everything. Within days of moving to the German capital Rod re-discovered his love of the kick drum. Early mornings at Watergate and late nights at Panorama bar,Tama Sumo and Marcel Knopf, 1210s and a healthy dose of vinyl re-inspired Rod to get into the studio resulting in a release on boutique Berlin based label Elektrotribe. 2010 saw another move, this time to the Middle East as resident DJ and Artistic Director Sanctuary Nightclub. Guest spots in and around the GCC soon followed. Rods diversity as a DJ has been on display supporting the likes of David Morales, Robert Babicz, Audiofly, Nic Fanciulli, Kerri Chandler, Detroit Swindle, Audiojack, Session Victim and Huxley. 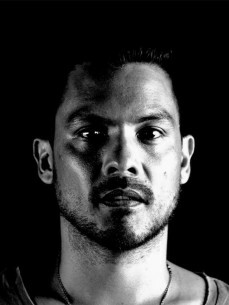 Rods musical feel and technical ability permeate his sets, gliding from straight up house, tech right through to techno. Maintaining a consistent level of quality and groove he is as comfortable keeping the early cocktail crowd entertained right through to closing a pumping nightclub. In 2013 Rod joined the Audio Tonic Agency roster as well as a much sought after residency at Sunset Sessions at 360 Degrees.